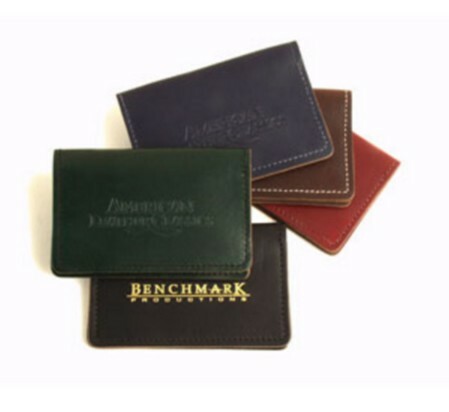 Keep your business cards organized in our attractive Top Grain leather card holder. Deboss or foil stamp your logo or identity on the front. Overall Size: 4 1/2" x 3"